The Excalibur Octane Crypt Crossbow Case is the perfect choice for Micro Series Crossbows granting outstanding storage and extra protection when transporting your crossbow investment. Constructed of heavy-duty 600D Endura polyester, the case features high-density PE foam-lined panels and walls for rigid protection. The interior is lined with extra-soft padded Tricot, while heavy-duty zipper closes the case securely. The Octane Crypt Case is fabricated with the rugged Green/Realtree Camo Pattern that is neutral, open contrasting and realistic making the Camo pattern both versatile and effective. 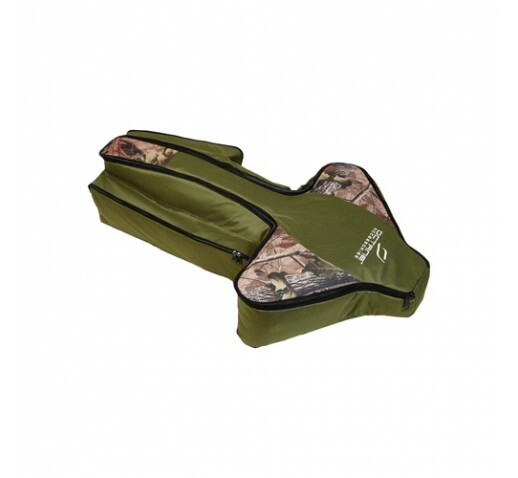 The deluxe T-form case includes two outside padded storage pockets for extra gear, with additional sling and carry strap for transporting.